FENWAY | Perry Hood Properties, Inc. 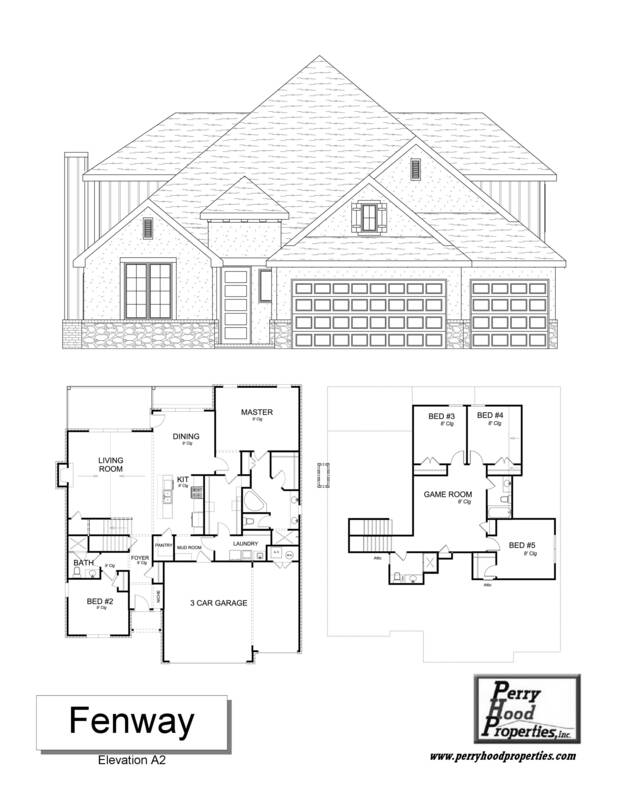 This Perry Hood Properties, Inc. 2 story floor plan has 5 bedrooms with 2 down and 3 up, 4 baths and a 3 car garage with approximately 2860 sq. ft. The Fenway features a second bedroom and bath downstairs. Game room, 3 bedrooms, and two baths upstairs. Several storage closets throughout. Granite countertops, island, stainless steel appliances and lighted walk-in pantry complete the kitchen. Kitchen and living open to dining room. The vaulted living room with wood burning fireplace makes an inviting room for entertaining. The master suite has two closets, one with utility access, a corner whirlpool tub and separate tile shower, and huge linen closet. Mudroom adjacent to kitchen and utility. Great home for your family! 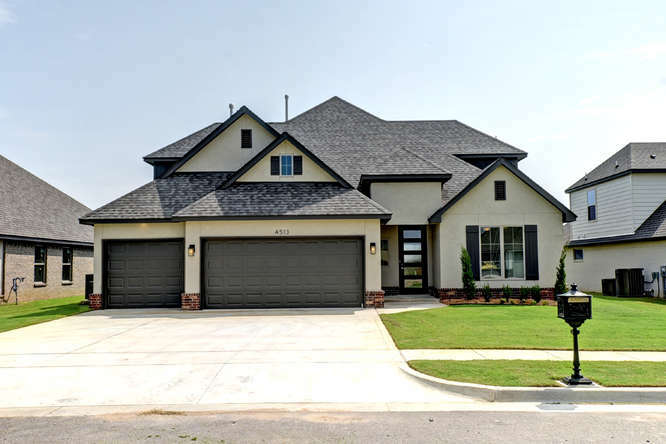 Jay Rambo cabinetry is standard in this well-designed floorplan.